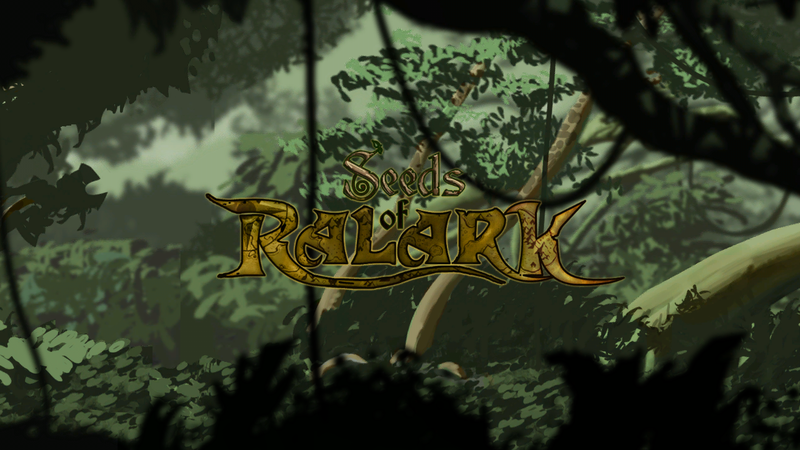 Seeds of Ralark is 2D, side-scrolling adventure for the XBOX 360. 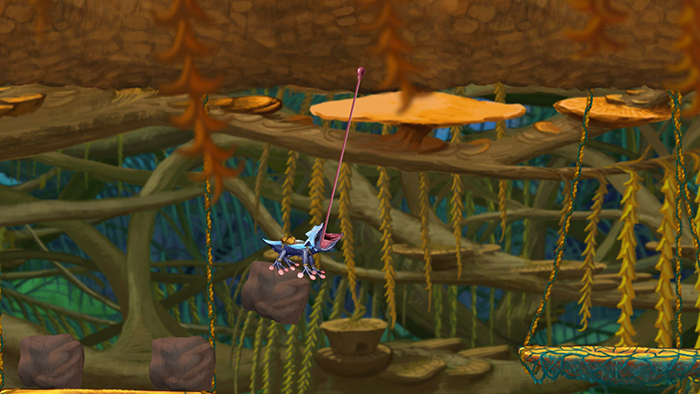 Players assume the role of a lizard-like creature known as a Lotong, who has been banished from his village high in the tree tops of the Great Thick jungle. With only his native abilities such as a sticky tongue and feet, players must use a combination of skill and logic to navigate and survive the tree tops. My design goal was to create a game with a "natural" feel to the gameplay. To create an experience that felt like climbing a mountain(you don't magically get better, which makes both the danger and the success more real). 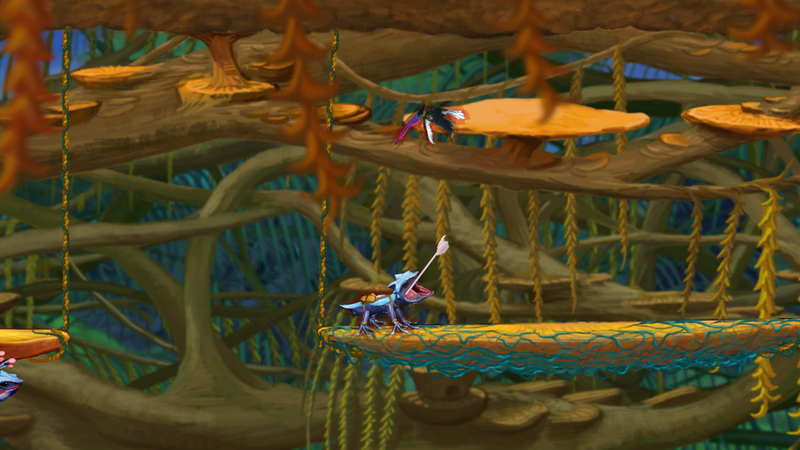 Fitting with this theme, I wanted the experience to lean more on the player's skill and ability than many other contemporary games, similar to several generations ago. Challenging game-play and a unique take on the platforming game. 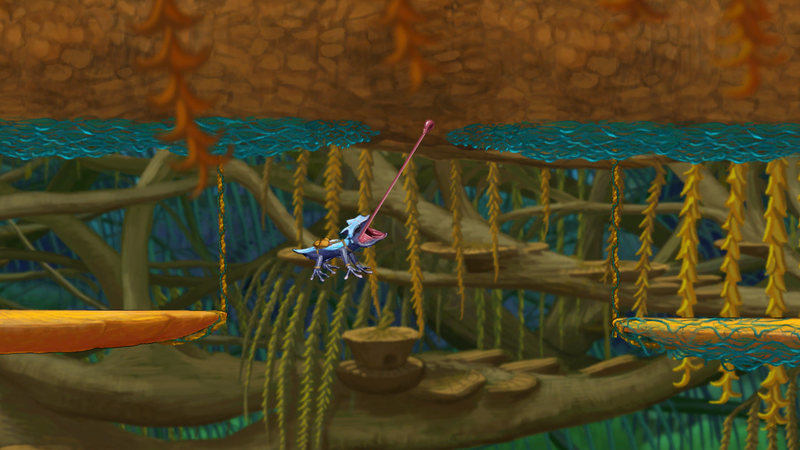 Minimalist UI with in-game cues such as head-pointing for aiming. 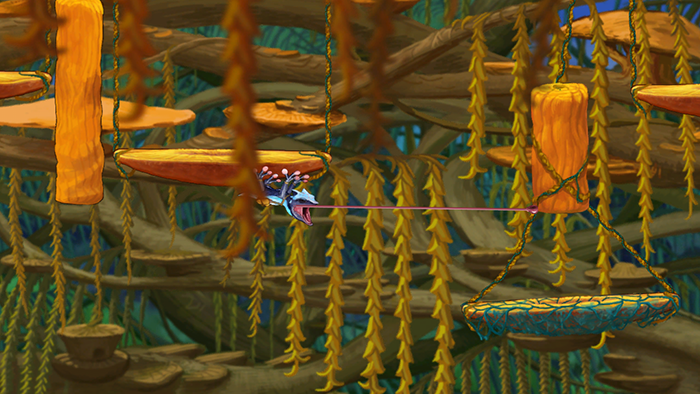 Seamless play experience with no loading screens. Learning to play the game is integrated with the experience rather than being a separate section that breaks the flow. 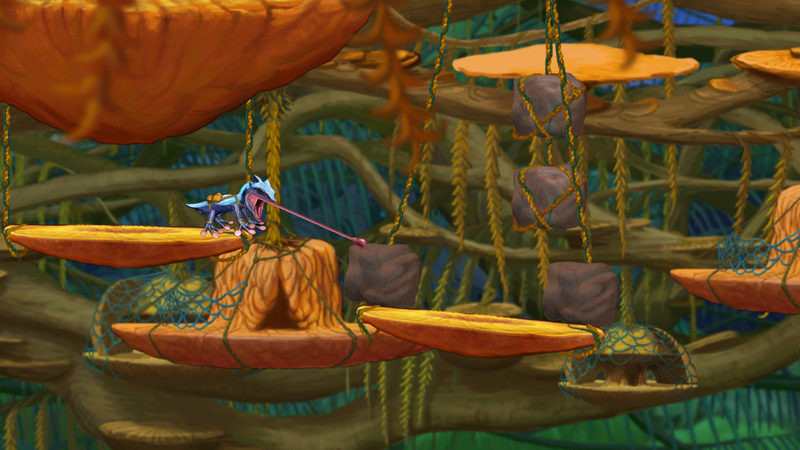 More advanced gameplay using sticky feet, note the foreground depth created by our engine. 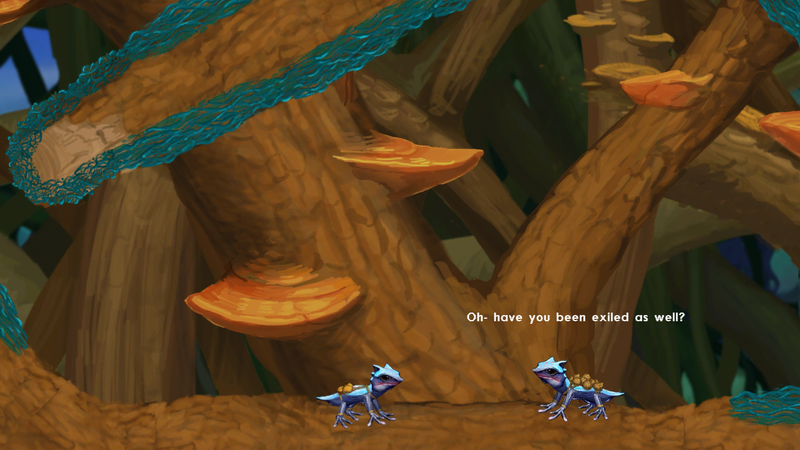 Dialogue scene further into the game.